From 1.00pm on Sunday December 12th, the regal Queen of Hoxton pub will play host to an unconventional festive extravaganza with a bursting line-up that includes carols, cabaret and Christmas karaoke. 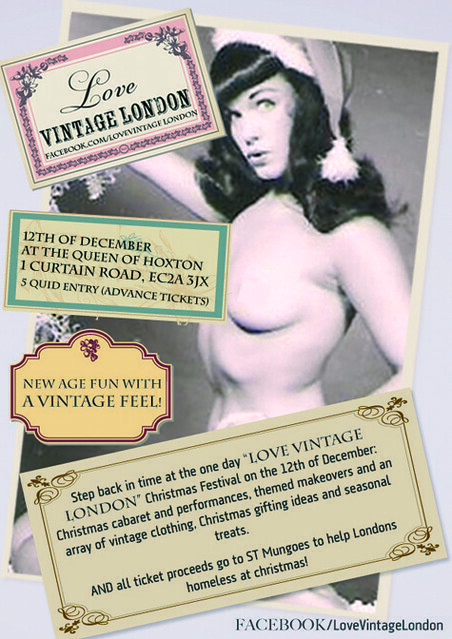 All based in a location lined with vintage market stalls, selling treats, trinkets, and vintage treasures. Each stall will offer something different, as an alternative present for friends and loved ones. The day will be filled with on-spot raffles including bottles of champagne and festival tickets. 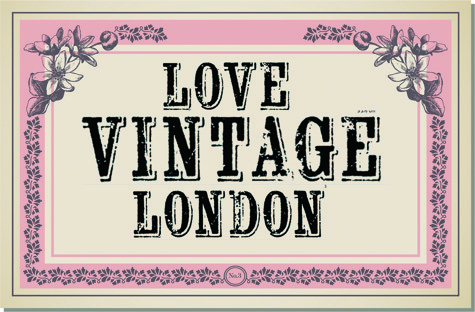 Adding a traditional sparkle to the Festival, vintage hair and make-up teams will be on hand to make guests up into a style from their favourite decade (40’s, 50’s, 60’s, 70’s, 80’s). Just in time for the evening’s shenanigans. Tickets allow guests entry from 1.00pm through to the end of the night, to enjoy a party lined with mulled wine and mince pies. Tickets cost just £6 and each ticket sold will be donated to St Mungo’s to buy a homeless Londoner a hot Christmas dinner on December 25th.